DILLWYN, Va. (AP) - A German diplomat’s son convicted of murder is petitioning Virginia Gov. Terry McAuliffe for an “absolute pardon” and parole based largely on blood analysis. 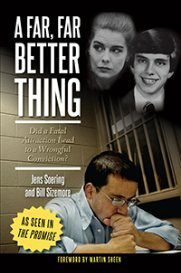 Jens Soering is serving two life terms for the 1985 slayings of his ex-girlfriend’s parents. Soering’s petition this week says a blood analysis concludes that Soering, who has Type O blood, was not the source of at least some of the Type O blood found at the scene, The Washington Post (http://wapo.st/2bMPfMB) reported. Investigators said his claim was not new. 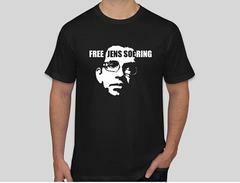 Soering initially confessed to killing the couple but recanted and has insisted he is innocent. He said his then-girlfriend, Elizabeth Haysom, killed her parents and told him afterward. Haysom testified against Soering and is serving a 90-year sentence. In the absence of hair or fingerprints, prosecutors relied heavily on the presence of the Type O blood to link Soering to the crime. Maj. Ricky Gardner of the Bedford County Sheriff’s Office, who led the investigation, said Soering’s latest claim is nothing new. The blood tests are decades old: a 1985 blood typing test and a 2009 DNA test. Soering’s attorney Steven D. Rosenfield said what is new is a belated comparison of the two tests. No one compared the 1985 blood type report with the DNA report until July, when Rosenfield began preparing to file a petition with McAuliffe on other grounds, including unrelated revelations in a forthcoming German documentary, “The Promise,” about Soering’s case. The film suggests that Haysom, an admitted drug user, committed the murders with help from a now-deceased man who had supplied her with heroin. Soering’s defense had also raised that scenario in his trial. An analysis by an expert Soering hired said that put side by side, the test results indicate that a male other than Soering was the source of the Type O blood.